Part of a series marking the 100-year anniversary of the birth of President John F. Kennedy in Brookline. He was a young president, still in his 40s when he was killed by an assassin’s bullets. But President James Garfield was no Jack Kennedy. In death, Garfield was commemorated by a postage stamp and a couple of monuments before being engulfed in obscurity. For Kennedy, on the other hand, the afterlife has been athletic. On his last day, according to historian Alan Brinkley, he woke up as a president “with admirers and detractors, a man with a record — some of it good, some of it not. "By the evening of that day, he had become a legend, enshrouded in a fog of grief and posthumous adulation from which he has never fully emerged," Brinkley said. JFK’s been dead longer than he lived, and by general consensus of historians themselves, a definitive biography has eluded them. Not that they haven’t tried to pin him down. 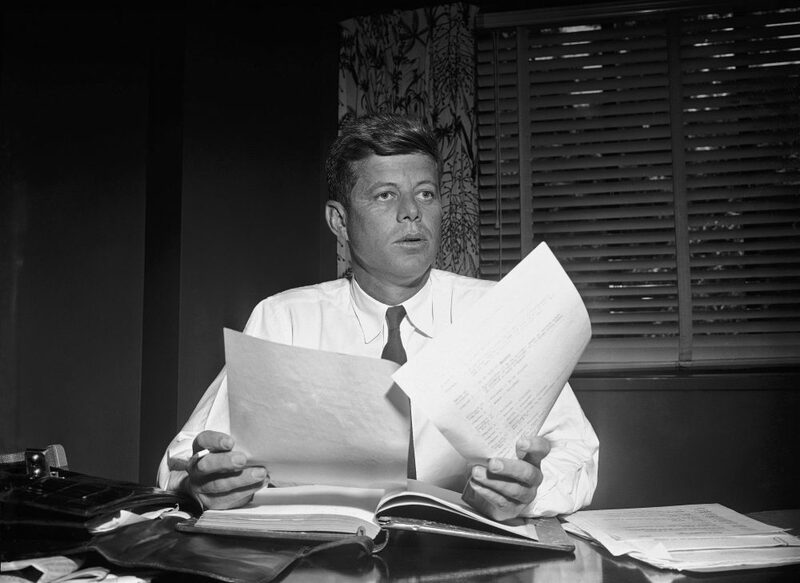 The number of books written about John F. Kennedy surpasses 40,000. When it comes to the most written about people in world history, Kennedy keeps company with only Jesus Christ and Abraham Lincoln. "By the evening of [the day he was killed], he had become a legend, enshrouded in a fog of grief and posthumous adulation from which he has never fully emerged." 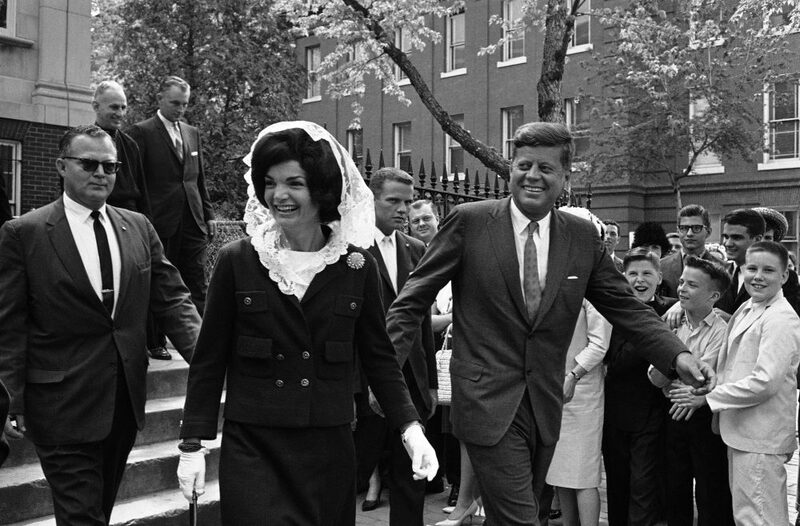 How JFK went from history to memory — which is how we choose to remember history — and how that memory was shaped, is the subject of Michael Hogan’s new book, "The Afterlife of John Fitzgerald Kennedy." "It’s just sheer, sheer tragedy, and it becomes a more interesting story as time goes by, and we learn more about his inner life and his private life — and hers as well," Hogan says, referring to the president's widow, Jackie. Jacqueline Kennedy Onassis is central to Hogan's biography. In Hogan's view, she became the memory maker and head guardian of the image that the first lady and her husband had cultivated in the White House. "I call it the Kennedy brand, and they did very little to deviate from that image," he said. That image is one of a devoted husband and father, a robust athlete, who was a cultured and charming progressive. 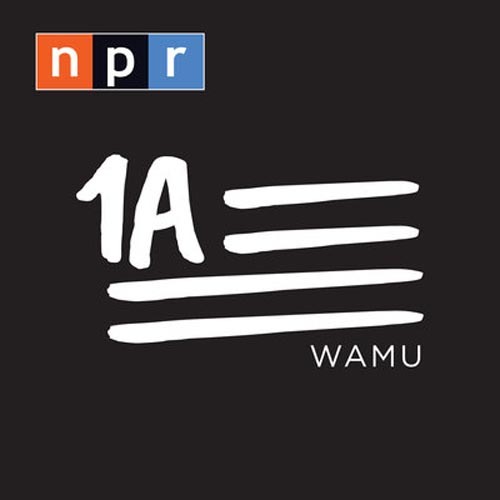 "[They were] people who inspired Americans to believe in themselves, to have faith in themselves, to believe that all problems were solvable," Hogan said. "That was the image he projected that made Americans feel really good about themselves." The Kennedys' careful image-making also involved concealing what they did not want people to see. "And they were very, very good at it," he added. "We don’t hear about the kind of wild, almost fraternity-like parties they could have in the Yellow Room upstairs on the second floor of the White House ... his affairs, her use of amphetamines, her smoking, her lavish expenditures on her costumes and wardrobes." From the brutal, traumatic beginning of JFK's afterlife, Jackie became wartime defender and architect of how her dead husband would be remembered. As portrayed in the recent Hollywood movie ”Jackie,” the former first lady plans and directs JFK's funeral to recall Lincoln’s and Franklin Roosevelt’s — and puts Jack in their company. "There should be more horses, more soldiers, more crying, more cameras," Natalie Portman says as Jackie in the film. Elevated to hero, the assassin’s victim would be knighted to the court of King Arthur a week later. Speaking to the political reporter and historian Theodore White for a Life magazine article, Jackie created the enduring image — indeed the brand — of JFK and his place in the American mind. For that story, she pointedly recited the lyrics of what she told White was her husband’s favorite song, sung by none other than Richard Burton in a Broadway musical. "The lines he loved to hear were: 'Don't let it be forgot, that once there was a spot, for one brief shining moment that was known as Camelot,' " she told White. To this day, historians operate under the anchor of that metaphor that equates 1,000 days of the Kennedy administration to our brightest history. "... 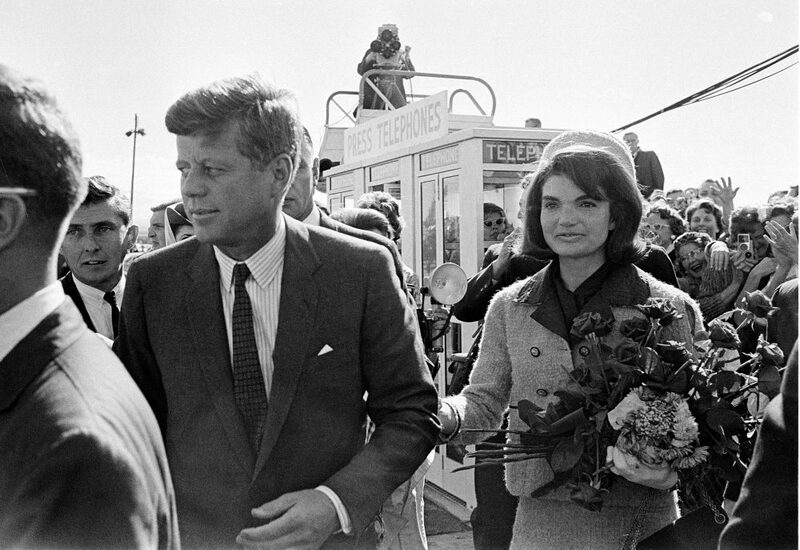 There will never be another Camelot again," Jackie told White. You can find evidence of the cliché that won’t go away even in the title of the recently published book that ends with Kennedy’s election. 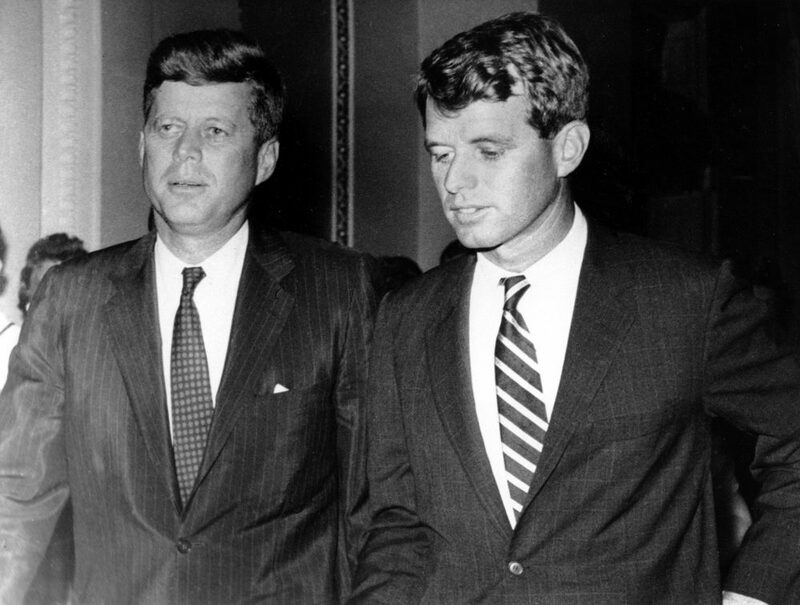 In "The Road to Camelot," by former longtime Boston Globe reporters Curtis Wilkie and Thomas Oliphant, the authors chronicle Sen. Kennedy’s five-year campaign for the White House. "Much of modern politics owes its birth to his campaign." Oliphant credits Kennedy and the bunch of rookies who joined him on Thanksgiving in 1956 as pioneers. "Much of modern politics owes its birth to his campaign," he said. No one had ever used television as systematically as Kennedy did. "Including those awful 30-second and 60-second commercials we’ve all come to hate so much," Oliphant explained. "The pioneer was John Kennedy." JFK was an upstart who turned to primaries, not party leaders — and beat the bosses at the polls. His was the first winning grassroots campaign, and it would become the playbook, Oliphant says, studied in minute detail by the future campaigns of Barry Goldwater, Eugene McCarthy, Jimmy Carter and Barack Obama. "There is a straight line that runs from JFK to Donald Trump, and it’s the idea of coming from the outside, in," Oliphant said. "Kennedy wasn’t the choice of his party. He wasn’t beloved in the Democratic Party when he started running for president." Much has been made of the imperious, multimillionaire father, Joseph Kennedy. But Wilkie said he was surprised to find how independently Jack and his brother Bobby ran the campaign. "The old man furnished the money, but they disregarded virtually every idea, every recommendation that he came up with it," Wilkie said. What also emerges from "The Road To Camelot" is an unflattering account of Kennedy's accommodation of Jim Crow-era Southern segregationists while trying to win the votes of northern blacks. "He was somewhat embarrassed by his conduct. 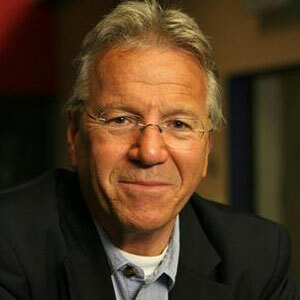 The difference between you and me is that Kennedy wanted to get elected president, and as a result, we found that he was more than willing to do some things that you’d want to put a question mark after," said Oliphant. "And one of them was the relationships he developed with some really terrible people down there." Kennedy spent an evening at the mansion of the Mississippi governor, campaign supporter and segregationist J.P. Coleman, who blocked integration of the state university. The accommodation of segregationists was not going to be found in the first wave of biographies that followed Kennedy’s assassination. The first historians out of the gate, says historian Michael Hogan, were the loyalists and White House aides — the ones to embed the image of Camelot. Even the loyalists would be screened, however. 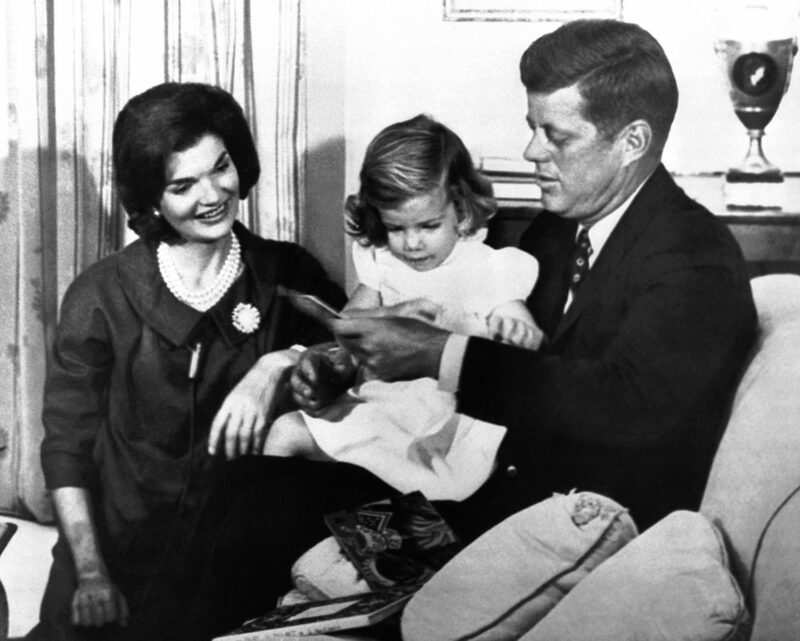 As defender and enforcer of the faith, Jackie Kennedy insisted on reading both manuscripts before publication. "She read it, she reviewed, and she asked for changes, which they made," Hogan said. "Imagine that." 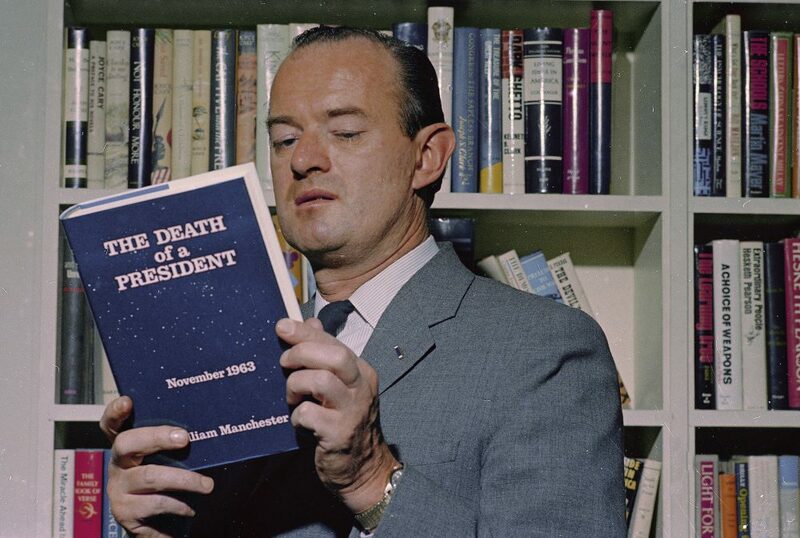 Then, in 1967, came William Manchester and "Death of a President," his famous history of the assassination. Jackie herself had commissioned it. "She wanted to see it before it went into print," said Hogan. "She didn’t like a good chunk of it, demanded very extensive changes, which he refused to make, and she took him to court." Next came the second wave of biographies in the late '70s to the early '90s. "There was a wave of revisionist literature, a group of historians — most left wing or new left historians — who were very critical," Hogan said. Writers Garry Wills and Seymour Hersh and others pulled back Camelot to portray a Cold War hawk who encouraged the arms race, provoked a missile crisis, launched the Bay of Pigs uprising in Cuba, and got us deeper in Vietnam. They depicted a president who was conservative in domestic issues. Now, we are in a third wave, Hogan says: the post-revisionist phase. It includes Robert Dallek’s acclaimed 2003 biography: "An Unfinished Life." "The country has been engulfed in a wave of nostalgia, and that wave of nostalgia has helped sustain Kennedy's reputation," Hogan said. "As Robert Dallek once said, 'Kennedy looks so good to us today because everything after him looks so bad.' 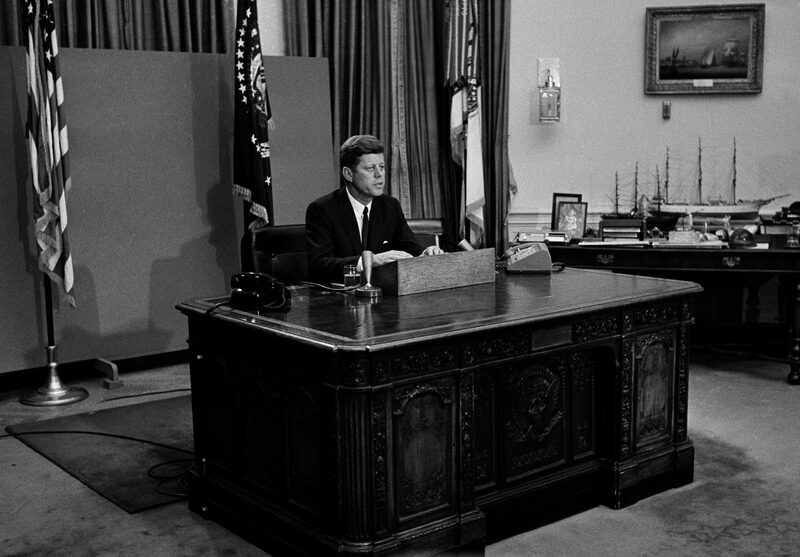 "
LBJ and the war in Vietnam, Nixon and Watergate, the gridlock that plagued the Obama years. "The country has been engulfed in a wave of nostalgia, and that wave of nostalgia has helped sustain Kennedy's reputation." The full glow of JFK may be dimmer, Hogan observes, but the public has voted. Opinion polls routinely show Kennedy in the top 10 list of presidents. Each year, four million people visit his grave — a piece of art designed under the supervision of Jackie Kennedy. JFK is the voice of inspiration even for people who were not alive when he was. "They began I think to look back to a moment — a nostalgic moment — that is more ideal than real," Hogan said. "[A time] when they thought they did feel good about themselves, when they had a leader they loved and liked and trusted and represented everything that they believed in as Americans." And until we find a substitute for that, he says, JFK will keep his hold of the American mind and memory. And you can expect still more books. This segment aired on May 26, 2017.